Friendswood Dentist - Gary Mayfield D.D.S. - About Dr. Gary Mayfield D.D.S. Your smile is one of the first things people notice. If you want a beautiful smile and exceptional dental health, visit the comprehensive practice of Friendswood dentist, Dr. Gary Mayfield. 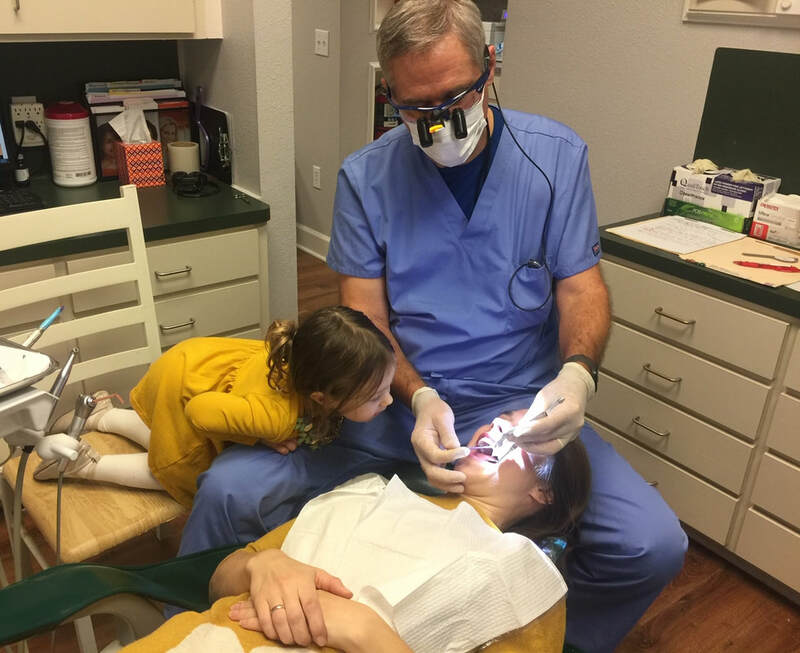 He and his caring dental team strive to provide patients the highest quality, most comfortable dental care in a relaxing, state-of-the-art environment. Your smile says a lot about you. Dr. Mayfield’s expertise and skill in general and cosmetic dentistry, such as dental implants, one visit crowns, orthodontics, teeth whitening, and periodontal treatment, can give you a smile that will not only reflect your confidence, it will reveal the very best things about you. Dr. Gary Mayfield is a Certified Invisalign Provider in Texas. In many cases, he can give you beautiful, straight teeth without the brackets and wires required by traditional braces. Call our office to schedule your consultation today. NEW patients welcome! Insurance is filed for you and most major credit cards are accepted. Thank you for taking the time to learn more about our practice! Our website offers information about many dental procedures such as Porcelain Veneers, One Day Crowns, Teeth Whitening and Dental Implants. You will also find directions to our office in Friendswood and copies of our patient forms along with our very helpful post operative instructions. When you have dental problems, you need to turn to a Friendswood dentist who listens and responds…an experienced doctor who knows the field and can effectively diagnose and treat your needs…a friendly dentist who counsels you on the best ways to maintain and improve your health. Dr. Mayfield meets all these criteria. Plus, you benefit from a dedicated team of trained professionals who give you the individualized attention you deserve.